Comments: ALTERNATE EDITION: PLEASE READ >> TEXT ONLY >> Gently used softcover marked INSTRUCTOR'S EDITION. Some cover, page and edge wear. Inside is clean. 6th Edition. Same content as student text. DAILY SHIPPING! 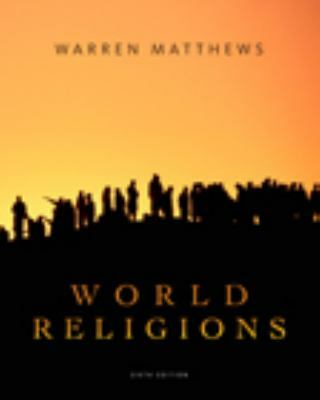 Matthews, Warren is the author of 'World Religions', published 2008 under ISBN 9780495603856 and ISBN 0495603856. Loading marketplace prices 63 copies from $1.98 How does the rental process work?